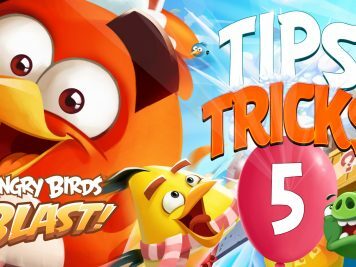 Part 5 of 5 of our special Angry Birds Blast Tips & Tricks series. In part 5 we review the remaining two power-ups: the lazer gun and horizontal rocket. Part 4 of 5 of our special Angry Birds Blast Tips & Tricks series. In part 4 we review the first two power-ups: the slingshot and vertical rocket. Part 3 of 5 of our special Angry Birds Blast Tips & Tricks series. In part 3 we review Boosters, of which there are three: a bomb, +3 moves, and the twister. Part 2 of 5 of our special Angry Birds Blast Tips & Tricks series. In part 2 we review Quests, which you can complete by playing levels. Part 1 of 5 of our special Angry Birds Blast Tips & Tricks series. In part 1 we talk about how to leverage the Daily Task to earn free power-ups and coins.